With centuries of ornate design and craft inspiring this stunning Large Decorative Ornate Gold Antique French Wall Mirror, the stories and history enriched within the piece will be sure to uplift the ambiance and class of any room. 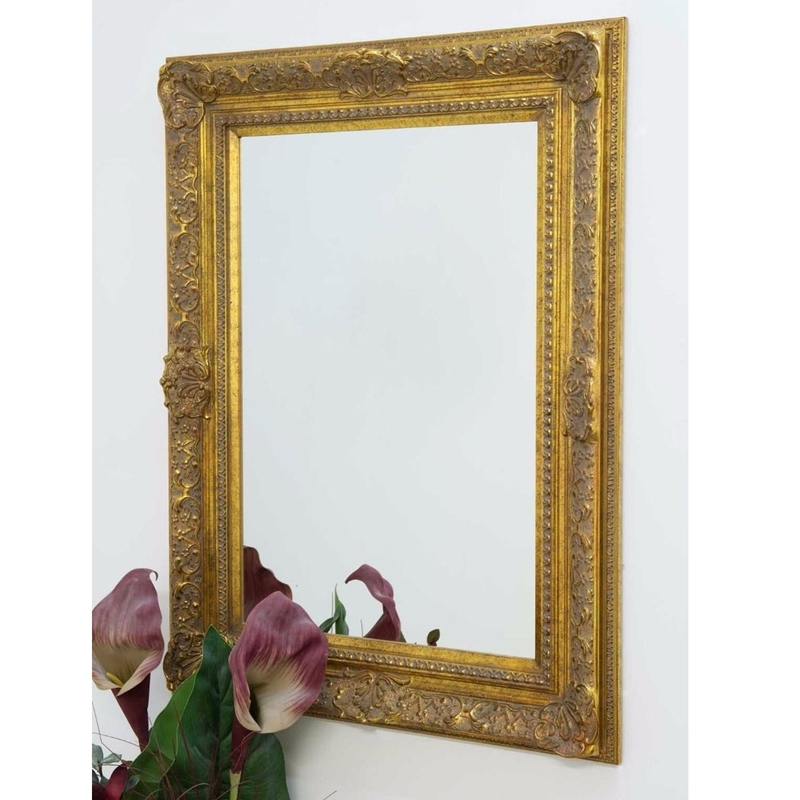 The Large Decorative Ornate Gold Antique French Wall Mirror is eye catching yet subtle, ready to easily fit alongside existing decor or as part of a new set. The Large Decorative Ornate Gold Antique French Wall Mirror is an engaging and enchanting hand crafted piece you won't regret.